A military adventure film which gets almost all its history and culture wrong, Bengal Brigade (also known as Bengal Rifles) still manages to entertain despite itself. It's 1857 in India, the 100th year of British rule, and the British army, consisting of English officers commanding Indian fighting men, is busy extinguishing flare ups that may coalesce into revolution. 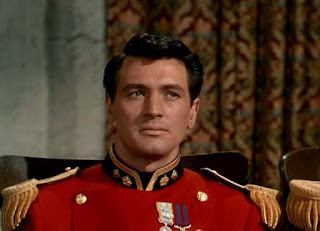 At one such skirmish, Captain Jeffrey Claybourne (Rock Hudson) disobeys orders in a brave attempt to save Indian soldiers trapped in an ambush. He achieves local hero status among the natives, but after a court martial he is drummed out of the army in disgrace, thanks in part to the tainted testimony of his rival Captain Ronald Blaine (Dan O'Herlihy). 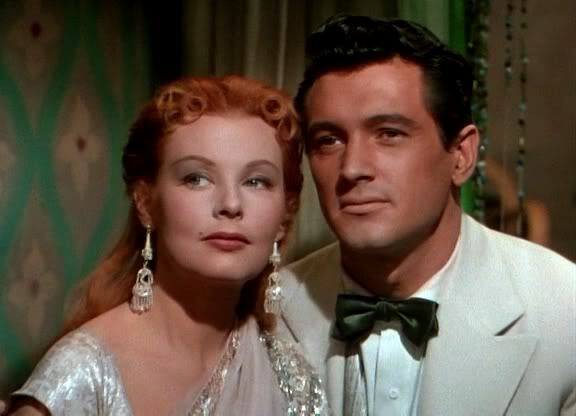 Claybourne and Blaine are both vying for the attention of Vivian Morrow (Arlene Dahl), the daughter of their commanding officer Colonel Morrow (Torin Thatcher). Lost without his career, Claybourne drifts sideways, confronts a tiger in a staring contest, gives up on Vivian, and meets local villager Latah (Ursula Thiess). With the country awash in a new, deadlier type of rifle and whispers of revolution and full scale mutiny growing louder, Claybourne is approached by powerful warlord Rajah Karam (Arnold Moss) to help train his army of rebels in readiness for rising up against the British. Claybourne finds himself caught between seeking revenge against the army that turned its back on him and participating in an act of treason against his country. Directed by Laslo Benedek, Bengal Brigade is a lavish, colourful production, portraying foreign military adventurism and delving into events surrounding the Indian Rebellion of 1857. It's a shorthand course in warped history according to Hollywood, but Benedek packs plenty of drama and some action into less than 90 minutes, rushing past historical inaccuracies to create an enjoyable, costume-rich romp filled with stiff military men, out-of-place beautiful women, and locals having to decide between serving foreign masters and betraying them. The film provides plenty of causes for irritation. 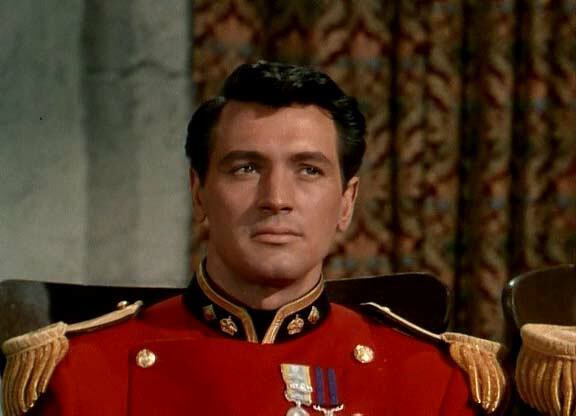 Rock Hudson makes no attempt to pretend to be British. Ursula Thiess is subjected to hideous brown makeup in a laughable attempt to pass her off as Indian. The characters of Vivian Morrow and Captain Blaine lack any meaningful depth. A couple of showdown set-pieces, including Claybourne's act of heroism, are abruptly edited short. And despite some cursory words about Indian independence, the film parks its loyalties firmly with the British and makes no attempt to explore the motivations of locals willing to fight for self-rule. The film is almost too glossy, the studio work unable to convey the dusty grittiness of faraway frontiers. But Bengal Brigade is successful as a rollicking military adventure with a pulpy dilemma for its central character, and there are enough twists and turns to maintain interest. It's all quite vivid and lacking in the refinement of more ambitious and bigger budget productions, but Bengal Brigade marches to the beat of hokum pleasure.